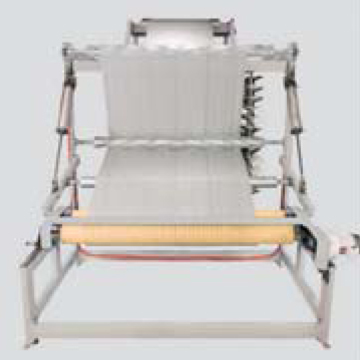 Equipped with inverter for main driving motor and weft bobbin sensor for ensuring fine quality woven products. Gusseting device, center unfold device, both sides heat slitting device, ultrasonic slitting device, warp infeed motor and HMI control can be supplied as per customer requirement. 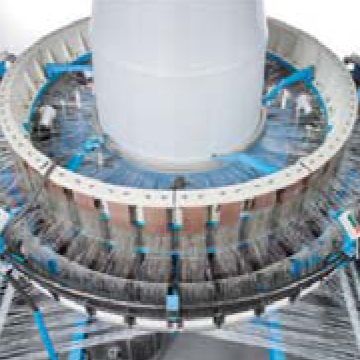 8 Shuttles circular looms designed for weaving tubular woven fabric by using PP/HDPE flat yarn and the application mainly for tarpaulin & jumbo bag(F.I.B.C.) industries. The working width of HY7-m8SCL is 145-195cm. Optional devices such as gusseting device, center unfold device both sides heat slitting device ultrasonic slitting device, warp infeed motor and HMI control are available for customer requirement.